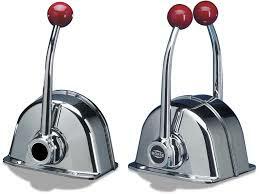 * 5 turns lock-to-lock for steering case. 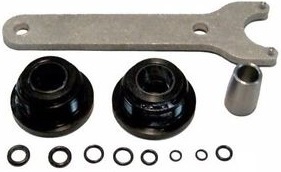 * Standard 3/4” tapered steering shaft. * Precision-built for long life in the marine environment. * Packaged complete with helm, Cylinder, fittings, Oil , bleeder kit. 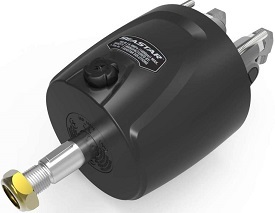 Use this cylinder as an alternative to front mount types if the motor well space is restrictive.Unbalanced, uneven number of wheel turns from mishap to hard over. 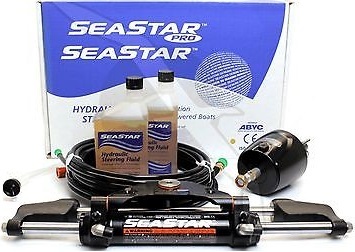 Suitable for outboard engines with power steering. Smooth, efficient no feedback steering for single and multioutboard engines up to 350Hp (700HP combined for counter rotating twins ) for speeds up to 60 MPH. 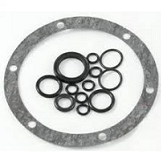 Teleflex replacement hydraulic seal kit for Seastar front mount hydraulic steering cylinders on outboard motors. Older Style Teleflex Safe T Helm is the original mechanical (also called Rotary) steering helm for power assisted stern drive boats up to 24 feet with up to a 16 inch wheel. 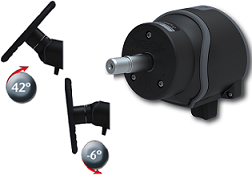 The Safe-T is an ideal helm for boats where a No Feedback system is not required. 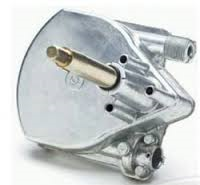 The Old style Safe-T features two threaded spigots for steering cable attachment. Teleflex Safe-T Bezels are for use with Teleflex Safe-T Helms, available in 20 and 90 degrees. Four bolts and nuts secure cable's rack housing to helm. Helm / cable install as unit from back of dash. 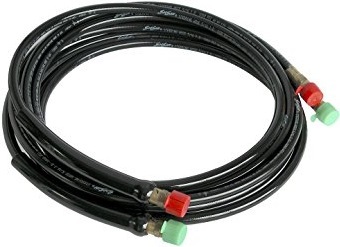 Helm requires current generation rack cables (will not bolt up older style cables). 33C universal Red Jacket Supreme boat control and throttle cables. 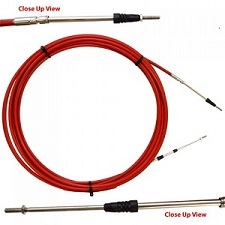 We have Seastar 33C universal Red Jacket Supreme throttle control cables and boat control cables in many lengths. 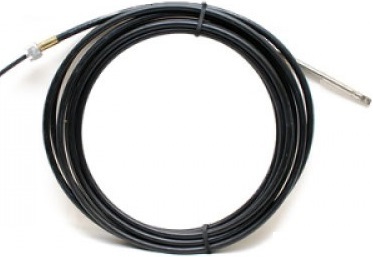 This Teleflex Rack Steering Replacement Cable Assembly is designed for Teleflex's Rack and Rack Twin steering systems (Helm TEL-SH5098). Stainless Steel cables are available in. 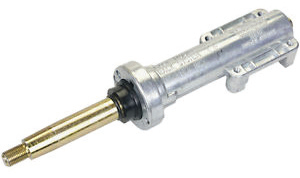 This Teleflex Mechanical steering cable assembly is designed for Teleflex older style Teleflex T-Helm and Teleflex Big T-Helm. ldeal for inboards, stern drives and outboards, MT-3 combines classic binnacle control styling with dual function levers, a neutral safety switch and an engine warm-up feature control throttle and shift with one lever instead of two. MT-3 Twin can control two engines.